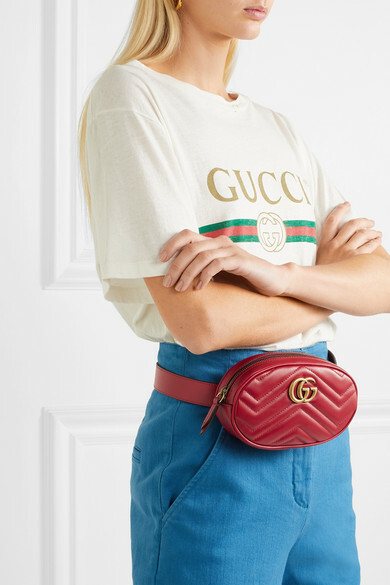 The belt bag is the coolest way to elevate your outfits this season. 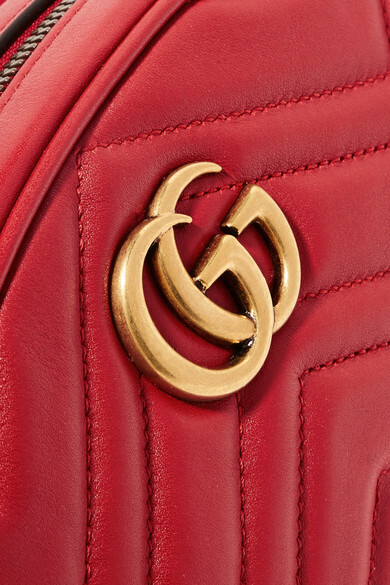 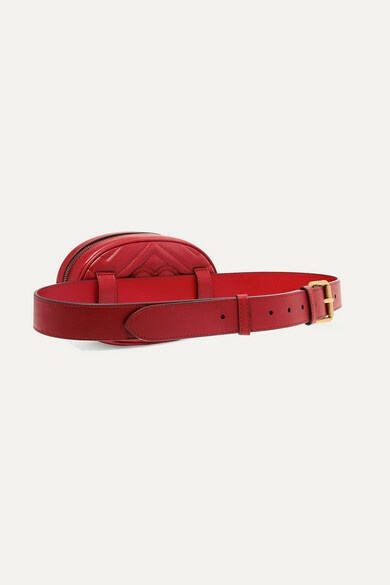 A firm favorite among editors and influencers at fashion week, Gucci's version is made from chevron-quilted red leather finished with the iconic 'GG' hardware in gold. 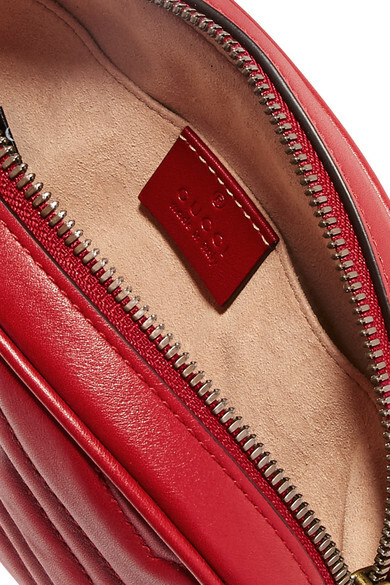 It has just enough room inside to fit your phone, wallet and keys. 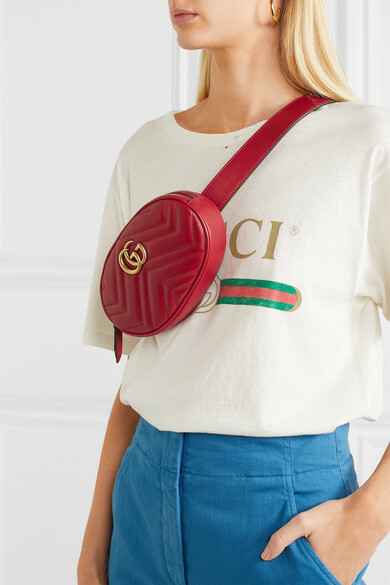 Wear it around your waist, cross-body or as a clutch. 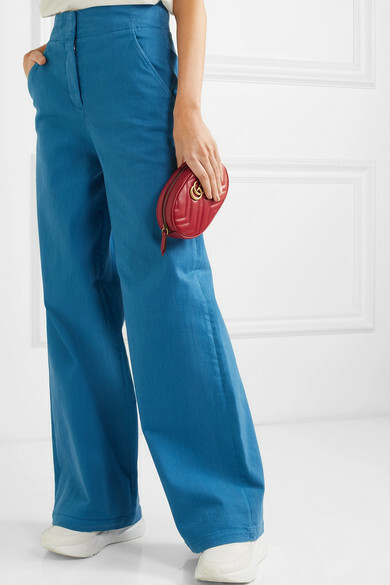 Shown here with: Tibi Blazer, Tibi Jeans, Gucci T-Shirt, Alexander McQueen Sneakers, Dinosaur Designs Earrings.